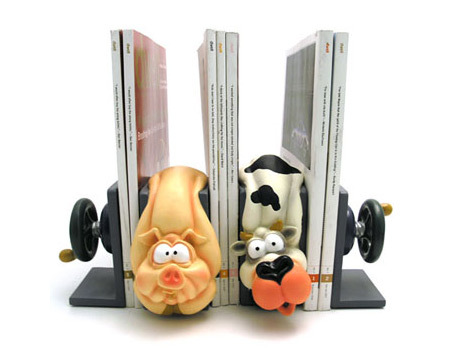 Keep your music collection organized with our Squished Animal CD Holders! These adorable CD organizers come in three parts. Two ends are designed like clamps complete with tightening wheels to squeeze the middle piece, which features a farm animal getting squished between your massive CD collection! For $39,95! 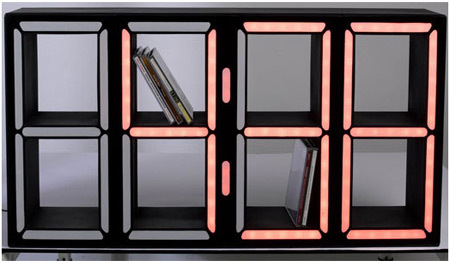 With a size of 73 x 13 x 36 cm, and a red LED clock, this gigantic CD Clock will obviously make a good impression and will add style to your CD holder, and the most important thing; you will never waste your time while enjoying your music! Designer Marian Lassak's CD Holder offers a unique spin on the usual plain CD case. 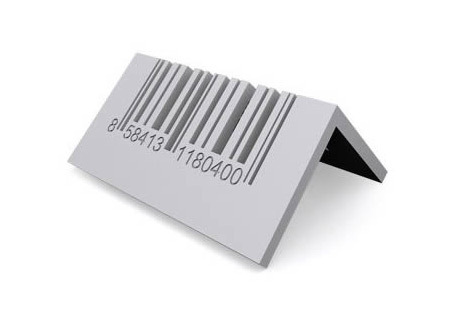 The barcode as a selling symbol creates esthetics and makes this piece a very interesting and creative CD holder. These folded CD cases come to us from Studio Lo. 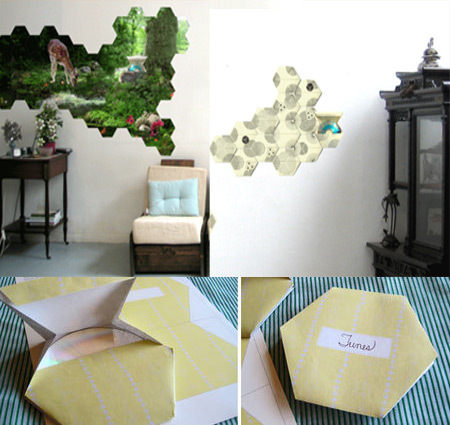 In Studio Lo's web page they explain how to do it, and they give you some examples to print; the paper is provided, and you do the folding and arranging. 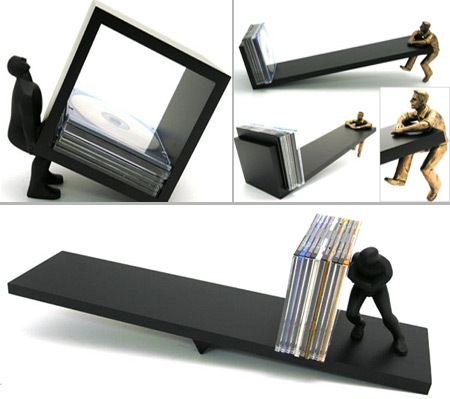 For those who want to change the boring common CD Holders to an artistic way to store their CDs collection, these humanized pieces of furniture would be a great solution! Are you dissatisfied with your current CD cases? Luckily you'll have a new choice: the Hershey Kisses CD Rack launched by Hidden Art. These Hershey's Kiss-shaped CD/DVD/optical disc holders are pretty nice looking, certainly they're not edible chocolate, but colorful racks made from aluminum. 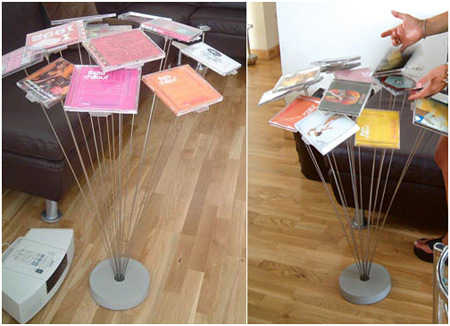 With one or two such racks on the table, you'll easily find your favorite CD without messing up all the CDs on the shelf. It is priced at $15, in black, red, green and blue colors. 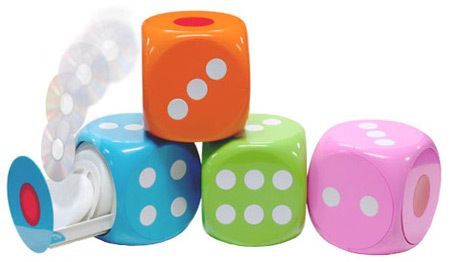 Each cube in the Dice CD Storage system measures 18 cm (7 in.) and can hold up to 60 CDs. You have 4 colours to choose from: orange, green, pink and blue. The storage system is manufactured by StrapYa, and it is only $19,75! 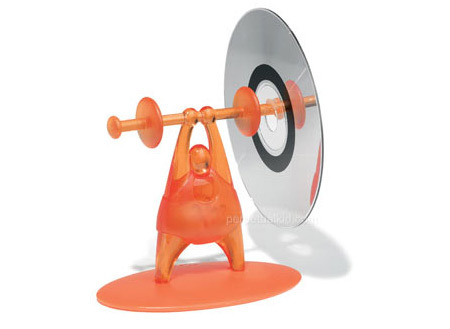 Instead of the typical CD holder which takes up a lot of space on your desk, this little plastic weightlifter named Dimitri will hold them and add fun to your desk for just $6.99! 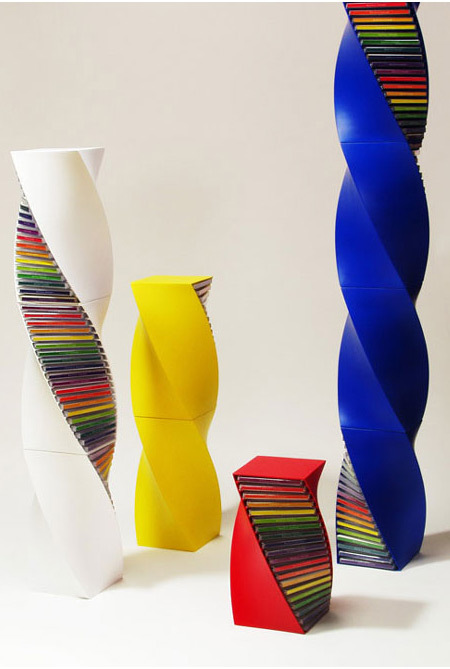 These CD racks are designed to mimic a DNA helix. You can choose them in different sizes and colors, and you can buy them online! A distinctive way to display CD's: create a sculptural element with the concrete and stainless steel CD Flower. The CD's can be removed without having to separate the case from the stand.